So, Jamal Khashoggi Wasn't a U.S. Green Card Holder After All? Yesterday President Trump released a lengthy statement condemning the murder of Jamal Khashoggi, an occasional columnist at the Washington Post, while also making clear U.S. policy toward Saudi Arabia will not change. "The crime against Jamal Khashoggi was a terrible one, and one that our country does not condone. Indeed, we have taken strong action against those already known to have participated in the murder. After great independent research, we now know many details of this horrible crime. We have already sanctioned 17 Saudis known to have been involved in the murder of Mr. Khashoggi, and the disposal of his body," Trump said. "We may never know all of the facts surrounding the murder of Mr. Jamal Khashoggi. In any case, our relationship is with the Kingdom of Saudi Arabia. They have been a great ally in our very important fight against Iran. The United States intends to remain a steadfast partner of Saudi Arabia to ensure the interests of our country, Israel and all other partners in the region. It is our paramount goal to fully eliminate the threat of terrorism throughout the world!" 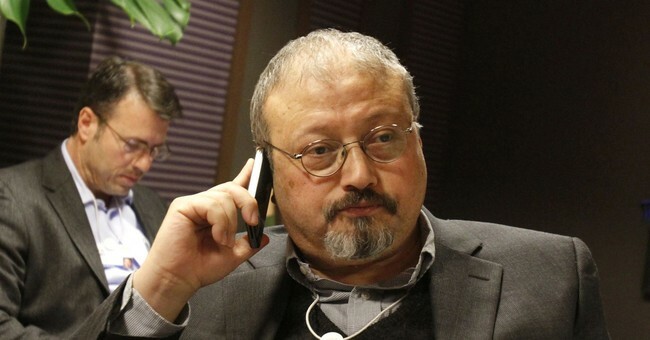 Mohamad Soltan, an Egyptian-American activist who sees Khashoggi regularly in Washington, told Reuters that Khashoggi was in the United States on an O-visa, a temporary residency visa awarded to foreigners "who possess extraordinary ability" in the sciences, arts, education, and other fields and are recognized internationally, and had applied for permanent residency status. Meanwhile, U.S. intelligence believes Saudi Crown Prince Mohammed Bin Salman directly ordered Khashoggi's killing. According to President Trump, Khashoggi was viewed by the Saudis as a an enemy of the state and a national security threat. "Representatives of Saudi Arabia say that Jamal Khashoggi was an 'enemy of the state' and a member of the Muslim Brotherhood, but my decision is in no way based on that – this is an unacceptable and horrible crime," Trump said. The partnership between the U.S. and Saudi Arabia to fight Iran continues.